I grew up eating canned tuna, and it was pretty much either a tuna salad sandwich or tuna noodle casserole. And the tuna in the can was pretty much always the same, too. I don't know if that was because mom purposely bought the same tuna every time, whether all the brands were that similar, or whether there weren't a lot of choices at the time. 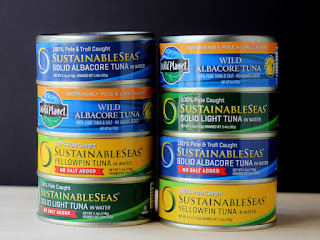 So when the folks at Wild Planet Foods offered to send me some of their canned tuna, I was pretty sure I would like it. I didn't dislike the tuna I'd been eating for decades, so I didn't expect this one to be very different. When I opened the first can from Wild Tuna, I was pleasantly surprised at the quality. It looked a whole heck of a lot better than what I was used to. Since then, I've used a few different cans that I got from Wild Planet - every one they sent was different - and I've liked all of them so far. Because the quality was better than the average canned tuna, I decided that it deserved better treatment in a sandwich. Instead of making a mixed, mashed and combined tuna salad that was heavy with mayonnaise, I left the tuna in larger chunks, and dressed it lightly with the mayonnaise. Combine the onion, relish, green olive and mayonnaise in a small bowl. Stir to combine. Add the tuna and mix gently to coat the tuna without breaking it up too much. This makes enough for two hearty sandwiches. 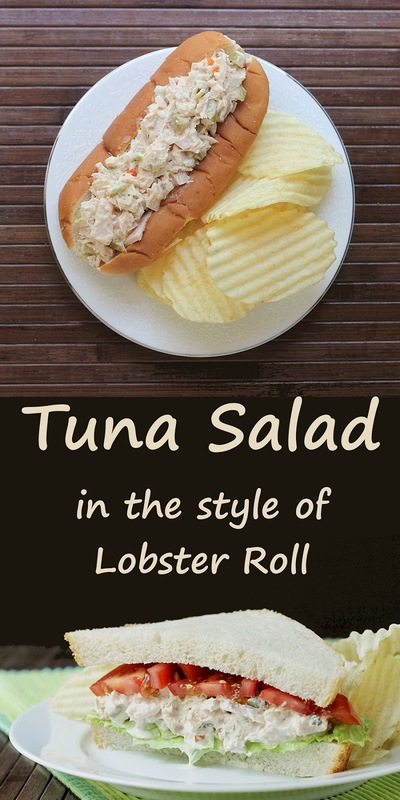 Lobster rolls are typically served on hot dog buns, but this is also great on any sandwich bread you like. Lettuce and tomato are nice additions, but it's great without anything added. 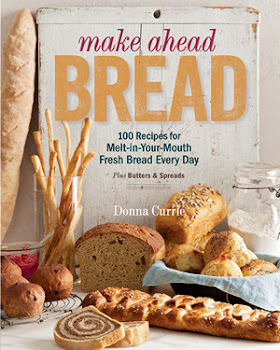 This isn't just for sandwiches, though. It would be good as a salad on top of greens, or scooped onto half of an avocado. Mercury is a big concern in tuna, and the folks at Wild Planet have figured out (after a lot of testing) that smaller, younger tuna caught near the surface are safer than larger, older, deep-dwelling tuna - so they've been buying pole- and line-caught younger fish since the company was founded in 2001. Besides tuna, the company also sells a variety of other seafood in cans, pouches, and jars as well as canned roasted chicken. For more information, check out Wild Planet Foods online. I received tuna at no cost to me. I wasn't required to create a recipe.